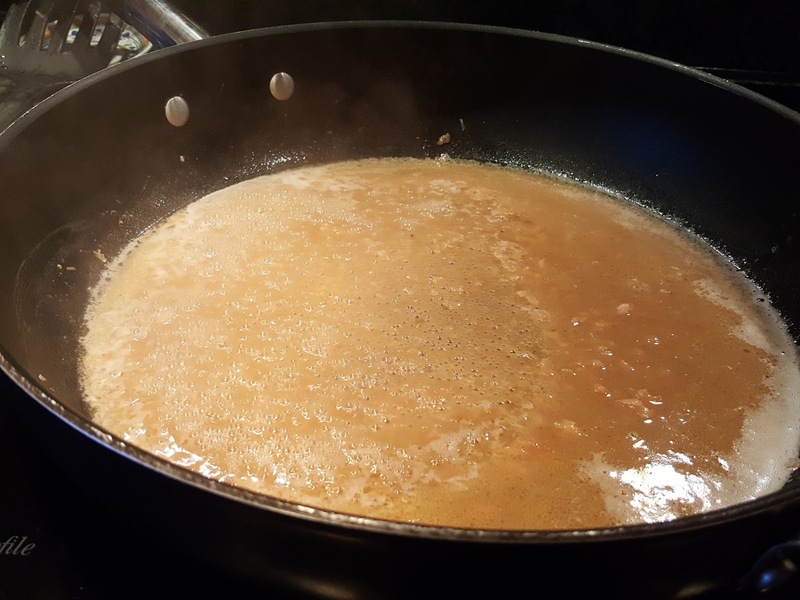 In a small bowl or measuring cup, add the soy sauce, ground ginger, and white pepper to the brandy and stir to distribute evenly. Rinse the salmon and place it in a Ziploc bag or similar receptacle. Pour the brandy mixture over the salmon and close the container. Marinate the salmon for at least 1 hour in the refrigerator. 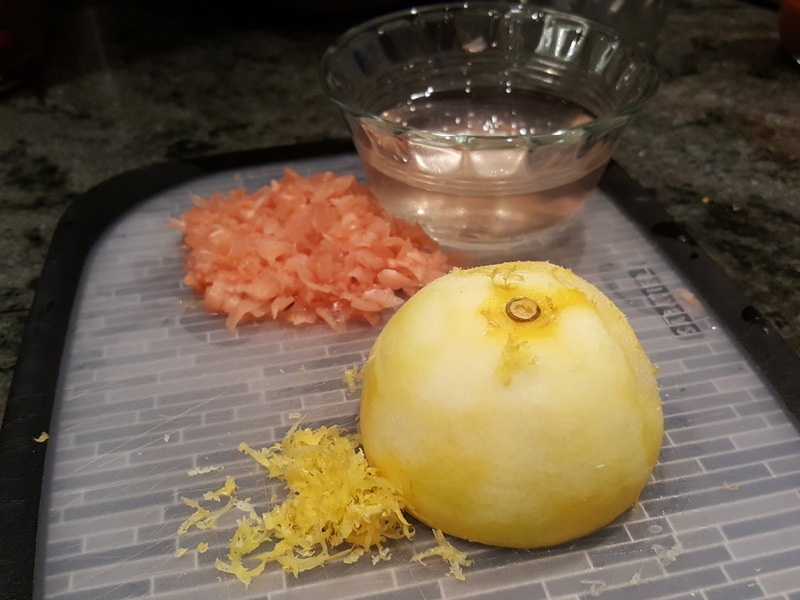 Meanwhile, finely grate the zest off half of the lemon. 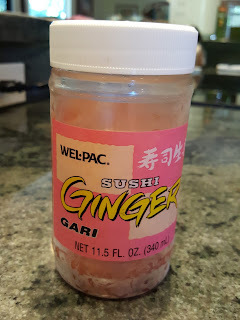 Finely chop the sushi ginger. About 15 minutes before serving the salmon, heat a large skillet over high heat. Spray or brush the cooking surface lightly with olive oil. 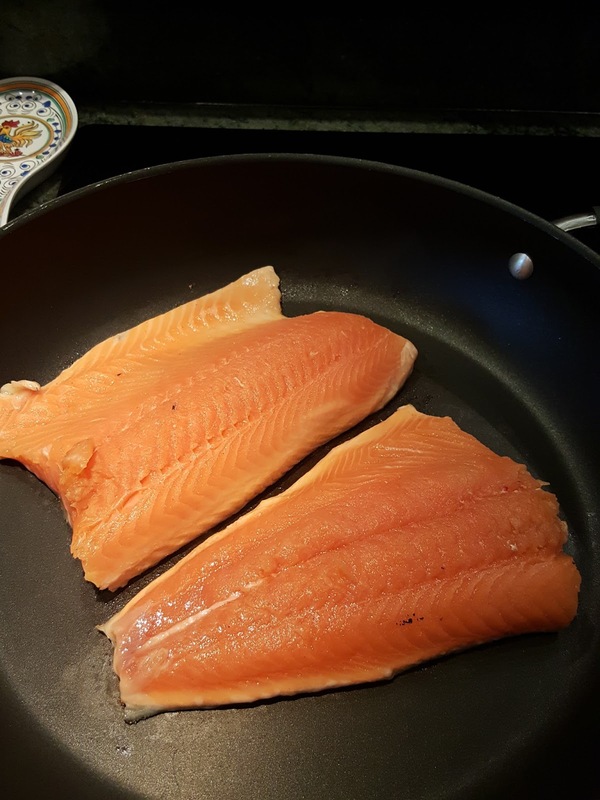 When the oil is smoking, remove the salmon from its marinade (save the marinade for step 14) and place it, skin-side down, in the skillet. When the skin turns dark and crispy, turn the heat to low, cover the skillet, and continue to cook the salmon to the desired doneness (I prefer medium-rare). Remove the fish to a serving platter. Place the butter into the skillet and allow it to melt over low heat. Add the lemon zest and chopped ginger and stir for 2 minutes. Add the marinade and ginger juice, and simmer until an emulsion is formed. 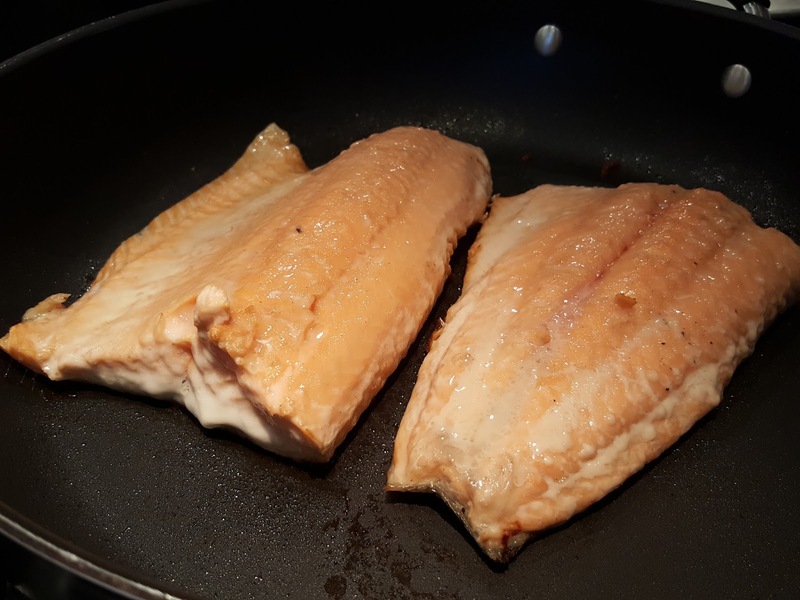 Immediately pour the brandy-ginger sauce over the salmon fillet. I altered an internet recipe for Grilled Salmon with Brandy Marinade, by eliminating ¾ cup of sugar and adding more ginger. 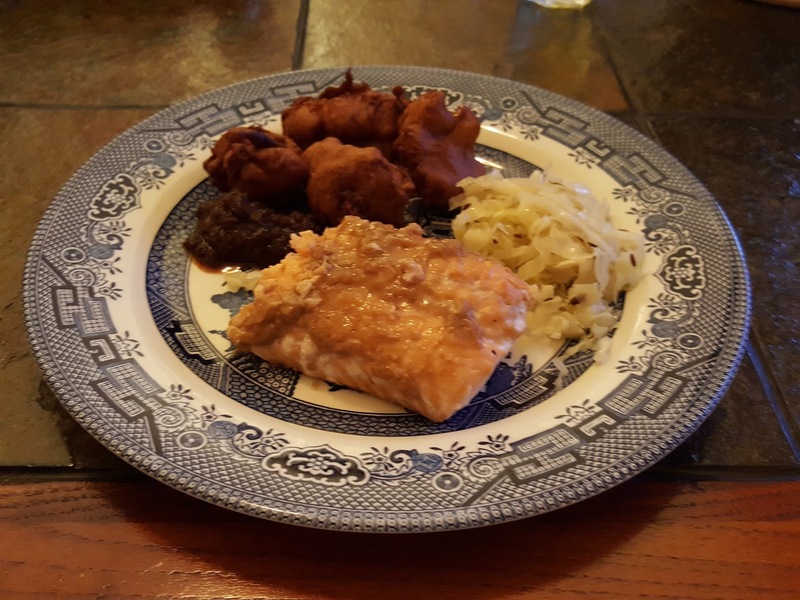 The resulting sauce is tangy and actually complements the taste of the salmon more than the sweet sauce would.